About the Usefulness and Disadvantages of Settled Models for Explaining the World. 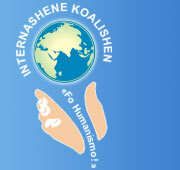 The speech for the IX conference of the Coalition "For Humanism!" When I go strictly by my feelings, then the term "ideology" carries a bad connotation for me, similar, for example, to "egoism," even though both terms are not basically negative, but rather value-neutral. Only their textual application allows a value judgement. By asking myself about the relevancy of a return to ideologies, I afford them a higher value than they actually deserve. Besides, ideologies do not move by themselves. That is why I am asking (now involving humanity): is the demand by people for ideologies on the increase again? With that, I am turning to the cause of this questioning, that is, the need of the human being for a mental orientation to safeguard his identity, and also to be motivated into actions. I think something becomes clearer already when we ask why ideologies are generally viewed as problematic. They are seen too much as causes, rather than symptoms, and the human being is perceived as their victim rather than their originator or beneficiary. At least since 1945, with the collapse of National Socialism, the term "ideology" has fallen into disrepute. For the younger generation, this may have happened with the "turn around," or the collapse of the actually existing socialism [ref. to East Germany]. A negative connotation is understandable here, because in both cases it was associated with oppression of humanity. But we cannot apply this to all ideologies. In dictionaries we read: Ideology = visionary theorizing; a systematic body of concepts, especially about human life or culture; the integrated assertions, theories, and aims that constitute a sociopolitical program (including a religious or philosophical view of the world). In dictionaries of philosophy, one can surely find much more expanded dissertations on this. Whole books have been written about it. But what is the average human being to do with all that? After all, he/she does not want to use ideologies solely for the sake of scientific research; rather, one wants to make use of them because we cannot live an independent and meaningful life without any mental orientation. Whoever wants to live a meaningful life needs a comprehensible mental concept of the world and humanity. He/she requires a picture of the world, a vision, a view or whatever one wants to call it, from which one can obtain an ideal worth striving for, an optimal picture, an ideal of human behavior that allows self-orientation to help motivate ones actions. Revelation or Works of Man? Where does this negative feeling about ideologies originate? There are different causes. Those human beings who are followers of religious salvation doctrines will, for example, rate human social ideologies very lowly, in comparison with revelations from God. They cannot recognize that, logically, all knowledge and interpretations of revelations are either from God or from man - they cannot be both. However, those human beings that feel restricted by religious doctrines, although having liberated themselves from them, often remain allergic against explanations and duties based on ideals. Also, our outdated school-system carries part of the blame for causing many to associate the word "teaching" with indoctrination, something one does not want to be exposed to more than absolutely necessary. Even though, teaching can absolutely be seen as a measuring tool that will make work and communication easier. Just as we no longer measure by finger or hand-width but use a ruler or a slide rule instead, our thoughts will likewise, as adults, no longer be guided by our emotions alone but will use idealistic constructs as a measuring tool to guide our ethical conduct with increased confidence. Because most ideologies end with an "...ism," that becomes for many a reason for rejection. Here we over-generalize and put form ahead of content while overlooking that, for instance, cubism and rheumatism have an ordered function within their special fields. Even dogmatism and fundamentalism lose their negative connotations when they have humanistic content. The value of ideologies that give an explanation of the world, a meaning, or are ethnic oriented is not recognizable by the form of their concept alone. Only a human oriented examination concerning their usefulness or disadvantages for humanity makes a value judgement possible. Ideologies in the ethnic category become the more useful the more they cause human beings to see themselves as a part of nature, and to recognize that the purpose of their lives lies in a refinement of the self and that of the human community in accord with nature, while accepting the reality of human limitations. Ideologies become the more disadvantageous, the more they drive human beings away from reality and make them dependent upon these ideologies and their moderators, or where they concern only parts of the whole or concentrate on special objects. For example, materialism and idealism make sense only when they are united under a humanist ideology. Obviously, so far there was little success with religious salvation, and materialistic worldview ideologies. It would be worth an attempt to apply an ideology that will allow a more stringent, highly secure, demonstrative, forceful way of reaching a growth of humanness. In turn, that will lead the human being to a coming of age and independence, on to an internal stability and identity so that all that separates and excludes, as well as irrational expectations of salvation, can be abandoned. That would favor personal as well as communal responsibility with individual, direct bonds to our contemporaries. I see such an ideology in a holistic humanism, the ideal of a noble, responsible humanity. As a governing guidance, humanism includes and unites within itself all further values. Humanism is strictly liberal, but Liberalism is not necessarily humane; Humanism is forcefully social, but Socialism is, as experienced, not always humane. Humanism contains all Christian ethical values, as do most other religions, whereas Christianity, similar to other religious groups, is still, even though less conspicuously, often too inhumane (e.g., early childhood indoctrination to develop dependency on some medicines). Humanism demands an ecological and also just behavior, whereas ecological and human rights oriented activists sometimes act inhumanely because they do not integrate their area of activities resolutely into the overarching area of humanist principles. The loyalty to a humanistic orientation is also very important in order to avoid acting in the various special areas of life simply as an end in itself, but to align one's actions with a higher level. Parts of culture, such as arts and literature, very easily become self-serving if there is no superordination of ethical principles. Often, they will then become an art or literature business, entertaining, sedating, but without any stabilizing influences on society or further positive development of human sensibilities. For all human beings with a sense of responsibility, which is a pre-condition for the growth of humaneness and for peace and freedom, a public confirmation to humanism and its ideal of a noble universal humanity is necessary. Only through a realistic, unifying creed [or guiding principle] can a personal identity be authenticated and stabilized, not through the use of irrational and dividing, self-illusionary faiths. The growth of humanity begins with peace within the individual human self. Everyone who, in this day and age, still has a need for a separating, discriminating faith should ask, honestly, why he/she still requires such delimitations, and why her/his identity could not be strengthened on the higher plain of common bonds. Germanity, for example, enabled the Nazi dictatorship to commit inhuman acts against the Jews that, today, renders an inhuman approach towards the Palestinians possible. Christianity still permits atrocities against Christians as, for example, in Ireland, and it does not exactly promote more humane conditions in connection with the ideology of economic growth in our society either. As a last step of development, and, perhaps even as a last chance, there remains, beginning from within the individual but globally oriented, the attempt toward the ideal of a positive humanity. The poet Bertolt Brecht (1898-1956) said: The concepts one has of something are very important. They are handles with which one can move things. One might expand that into: Concepts are tools of thinking. One has to sharpen them to produce good works. Humanism as an ideology, or an example with which to explain the world, provides the utility to cause human beings to progress into a socially and ecologically active community, which is the necessary basis for a stable relationship between society and the environment. Humanism also has some disadvantages: it demands work toward self-improvement from each human being. This is always difficult; however, it could also be seen as an attractive and meaningful task for the modern human being. Is There a More Plausible Ethical Orientation than Humanism? Why is humanism a valid alternative ethical orientation? Because the hitherto authoritative orientations have obviously failed and have created a dangerous dichotomy between demands of ethics and real actions. The actions of human beings are, in the end, determined by internalized attitudes towards ethics. There is a lack of an ethical orientation based on reason to solve the major problems in our society. The Christian argumentations have, in the main, shown to be insufficient. An ethical orientation based on human rights alone, however, is also insufficient because it requires the precondition of a society based on a community of interests, objectives, and standards. Only a need for ethics that originates from within the human being can guarantee an external optimal manifestation of rights and duties with any permanence. Humanism, among religions, creeds, world views, and other spiritual retromorphoses is the one ethic guideline whose name already shows the direct route and the ultimate aim of practical actions, and whose standards are real, plausible, and are founded in sound scientific method. The possibility to introduce this holistic kind of humanism as a tool for a concrete, ethical orientation is, as yet, too little known. Consequently, the basic approach should be to promote the thoughts of humanism as an alternative ethical orientation in order to push back the influence of physical and spiritual drugs, and thereby to lay lasting foundations for societal stability, social peace, and human development. Therefore, it is important to familiarize ourselves with humanism as a tool for ethical orientation and to openly confess to it where it is meaningful, appropriate, and in accord with our feelings.